Nagpur: A CME was recently organized by Central India Academy of Oral & Maxillofacial Surgeons in association with Orange City Hospital & Research Institute and Indian Dental Association- Nagpur branch in OCHRI Jaivik Hall which was attended by all academically oriented maxillofacial surgeons and dental surgeons of the city. The CME was on “Medicolegal Aspects in Dentistry and Maxillofacial Surgery”. The speakers for the program were two renowned medico legal experts namely Dr. Ashutosh Apte- Orthopedician and Dr. Rupali Jain- ENT Surgeon. 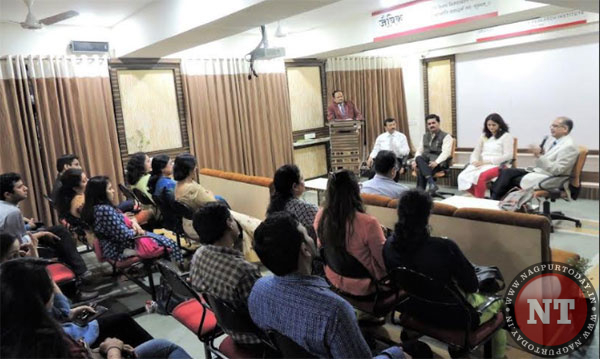 Dr. Ashutosh Apte spoke on the topic “Ideal Consent” which sought to enlighten various components of implied, express and written consents required prior to carrying out any bodily interventions. Dr. Rupali Jain spoke on “Medico legal issues in Dentistry and Oral and Maxillofacial Surgery” and highlighted intricacies of documentation, legal aspects, safety, death certification and management of medico legal cases vis-à-vis police matters. This was followed by a panel discussion on “Doctor Patient Relationship” wherein the panelists were Dr. Anup Marar- OCHRI Director and Dr. Niraj Khare- well-known Oral and Maxillofacial Surgeon of the city. During the discussion the consensus evolved to have better communication, trust, transparency, mutual respect, peer protection through shared decision making and compassion. It enlightened the gathering about evolution of doctor patient relationship through ages and also the rights and responsibilities of patient. At the outset, program began with Dr. S.R. Shenoi welcoming the delegates and speakers. Dr. Sheikh Athar conducted the program and Dr. Varsha Manekar delivered the vote of thanks. Prominently present were the office bearers of CIAOMS- Dr. Vrinda Kolte, Dr. Madhumati Dhawad and Dr. Tushar Shrirao- IDA Nagpur branch President.